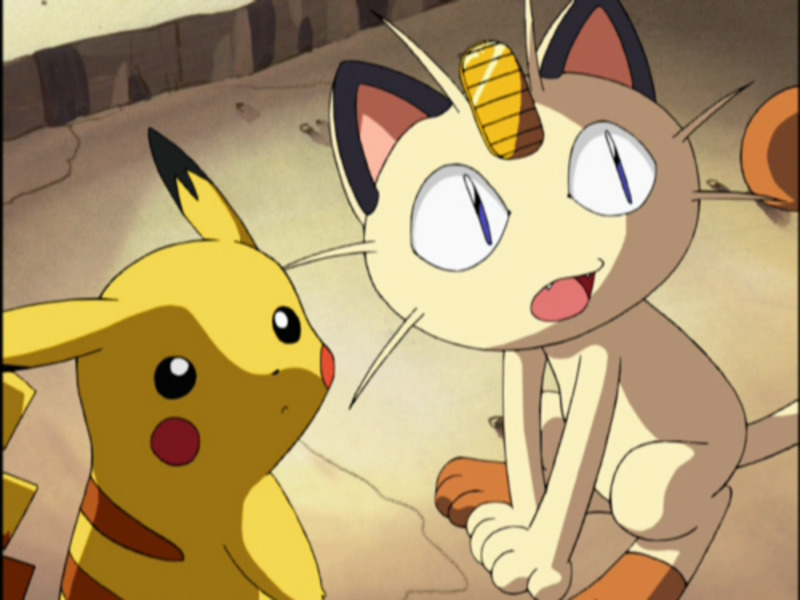 As with every new generation of Pokémon, there are Pokémon that are very clearly good for competitive battling and quickly make an impact on the metagame. There are also some unfortunate Pokémon that can't keep up and are left behind, due to poor typing, lack of usable stats, or a very shallow movepool. However, there is a third group of Pokémon that emerges every generation. The Pokémon that emerge from the lower Competitive Tiers with new moves, abilities and a new lease on life, as well as newly introduced Pokémon that were unimpressive at first, but have made a name for themselves in the competitive scene. While you may not have seen much of these Pokémon during the first months of The X and Y metagame, they are becoming more popular, and with good reason. When facing an unprepared opponent, these Pokémon canbe devastating. Even when the surprise factor wears off, they still have tremendous potential and can still compete with even the best Pokémon in the higher competitive tiers. Klefki is number 5 on this list due to the fact that a large number of player have discovered just how it can be, and therefore it's not much of a surprise to see one in battle. This doesn't mean that it can still catch you off guard, however. It's got plenty of tricks up its sleeve, and that's part of what makes it so threatening to unprepared teams. Klefki's has a good defensive typing and decent defensive stats, although it does have a very low HP stat, and that makes it great support Pokémon. It's ability Prankster, which gives priority to non-attacking moves, is what sets it apart from other support Pokémon and, some would say, make it an incredibly annoying Pokémon. One of it's more infamous sets is Swagki, which involves using Swagger and Foul play in combination with Thunder Wave to cripple your opponent and easily KO them with Foul Play, or watch them KO themselves while setting up Spikes. This set is very gimmicky though and not a very reliable strategy, so I won't focus on that for this list. Instead, I'll focus on Klefki's more useful support sets. This is a very useful set early in the match, as it can cripple many opposing Pokémon, either by Paralyzing sweepers, using Foul Play on physical threats, or poisoning opposing walls or other threats with either Toxic or going a step further and passing a Toxic Orb to an opponent. 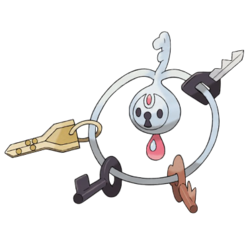 Klefki's Steel Typing grants it an immunity to Poison, which is perfect for passing a severely crippling item to the opposing Pokémon. Draining kiss is a good option as a recovery move, as it hits Sableye super effectively. Otherwise Sableye can completely wall Klefki with Will-O-Wisp and Taunt. This is also one of Klefki's less popular sets so it still has a surprise factor, and even without it it can do a fantastic job supporting your team. Ever since its introduction in Gen 3 Crawdaunt has never made a splash (haha) in the competitive scene, but everything has lined up in its favor this generation, and now Crawdaunt is reaping the benefits. 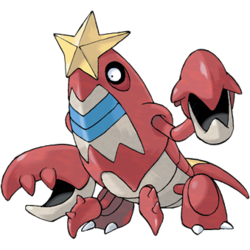 Crawdaunt's ability Adaptability grants it a 100% power boost to its STAB moves, rather than the usual 50%. The buff to Knock Off from 20 to 65 means that when Crawdaunt knocks an item off of an opponent it hits them with a 195 base power move. Couple that with a 120 base attack stat, and access to Swords Dance to boost it's attack even higher, and Crawdaunt can be very threatening. It's low Speed stat it somewhat alleviated by its priority move, Aqua Jet, which is a new addition to its movepool in X and Y. Aqua Jet on Crawdaunt is an 80 base power move, and that is enough to KO most things that are weak against it, and can clean up a lot of weakened Pokémon late in the game. Crawdaunt's low Speed and poor bulk are its downfall however, and keep it from becoming a dominating force in the metagame. This is Crawdaunt's more popular set, as it gives Crawdaunt more immediate power and trades losing one turn to set up Swords Dance for the ability to change moves at will. Crabhammer has received a power boost this generation as well from 90 power to 100 base power, making it the strongest physical water type move in the game. With Adaptability, this makes it a 200 base power move, which can be devastating to incoming switch-ins. Crawdaunt's Aqua Jet with a Choice Band equipped is equal in power to Arceus' Extremespeed, which gives you an idea of just how powerful it can really be. The problem with Crawdaunt is its low Speed and worse Bulk. It can take a few unboosted physical hits as long as they're not super effective, but it can't take very many special attacks, even with maximum HP. This means that in order to properly use Crawdaunt, a lot of support is needed. Paralysis support and Sticky Web support are almost mandatory. This means that countering Crawdaunt is as simple as outspeeding it with a pokémon that resists water moves. This doesn't change the fact that it is still a very powerful Pokémon. Cofagrigus is by no means a bad Pokémon, and it never has been, but last generation it was simply overlooked for better defensive Pokémon, and its singular Ghost typing wasn't doing it any favors. Its ability Mummy was all but useless as well, since most Pokémon that were used to counter Cofagrigus either didn't make physical contact with it, or just OHKOed it without a second thought. The changes to type effectiveness have made Cofagrigus' Ghost type more valuable offensively and defensively, as it can hit most Steel types neutrally and it gives it an immunity to the ever present Fighting types. 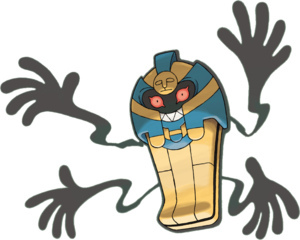 In a metagame where a Pokemon's ability can make or break it, Cofagrigus' ability Mummy can be a game changer against a lot of physical threats. Mummy passes the ability Mummy to an opponent that makes physical contact with Cofagrigus, negating its current ability. This set maximizes Cofagrigus' tanking ability and lets it cripple Pokémon of all types, in many ways. Will-O-Wisp neuters physical threats and steel type walls such as Ferrothorn and Klefki. Pain Split is a great pseudo-recovery move and can ruin your opponents plan of withering down your health before bringing in a sweeper or cleaner to KO Cofagrigus. Knock Off is a standard utility move that neutralizes Choice Item users and walls that rely on leftovers recovery. Toxic is great for catching pokémon that don't mind being burned, and is and overall great move for most tanky Pokémon. Mummy is great against just about any Physical Pokémon you come across. Mega-Pinsir loses it's STAB Quick Attack and Return, and can't even touch you unless it runs Earthquake, which can barely dent Cofagrigus, and you can burn it and completely ruin its sweeping potential. Azumarill loses half of it's attack, and can be halved again once burned, making it completely useless in just one turn. So many physical attackers rely on their ability that once they lose it, the tables can be turned in a match in a matter of a few turns. This makes Cofagrigus a fanastic physical tank and status spreader. As someone who has been using Weezing in competitive battling for the past three generations, I know first hand just how great of a physical wall it can be. Its Poison Typing has only gotten better with the introduction of fairy types, as it can tank physical Fairy moves from Azumarill and Mawile and counter with a Will-O-Wisp. Its walling abilities don't end with fairy types, and it can handle just about any physical attacker in the metagame, especially fighting types. It's ability levitate also grants it an immunity to Ground type moves, which removes one of its weaknesses. Like all Pokémon, Weezing has its drawbacks, namely its poor Special Defense, leaving it vulnerable to a number of different special attackers, such as Rotom, Gardevoir, and Charizard Y. This isn't a devastating defect as you can easily cover this by partnering him with a special wall such as Chansey or Blissey. Weezings wide support and offensive movepool give it many options when filling a support role. Both Will-O-Wisp and Pain Split let it remove bulky threats very easily, and it's ability to do decent damage with STAB Sludge Bomb and surprise incoming Water types with Thunderbolt is very unique for a support Pokémon. Pain Split is your main form of recovery on this set, but you can swap it for Destiny Bond in order to quickly get rid of a particularly threatening Pokémon on your opponent's team. Destiny Bond is a bit tricky,since it requires some prediction, but at times when your Weezing is out of options or you're in a position to KO an opponent's Pokémon and send in a sweeper, it can win you the match. 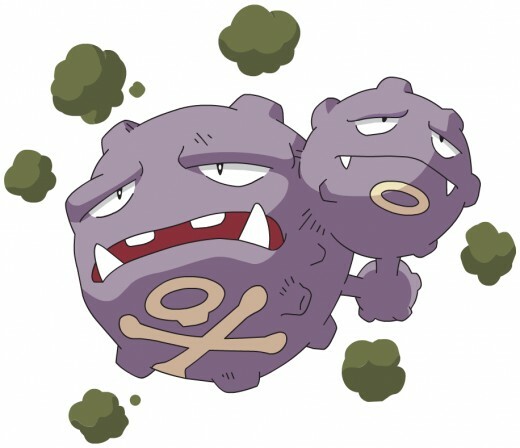 Weezing's main drawback is its poor special Defense, which means that lots of different Special Attacking Pokémon can easily force Weezing to Switch out, and once your opponent figures this out, they can easily play around Weezing and keep you form effectively walling physical attackers. Pairing weezing with a decent special wall or otherwise bulky attacking Pokémon is the best way to solve this, however. More often than not, your opponent will not see Weezing coming, and that's always a big advantage. Before Clefable received a new ability in Gen 5 and a new typing in Gen 6, it was just seen as a poor man's Blissey. With worse walling capabilities but more balanced stats, Clefable had a hard time fitting into the competitive scene. In generation 6 however, Clefable was granted pure Fairy typing, giving it some notable resistances and STAB moonblast. Clefable's ability Magic Guard,only lets it take damage from direct attacks, so it doesn't fear Poison, Burn, entry hazards, weather, or even life orb recoil. This makes it a fantastic status absorber and an even better tank and Special Attacker. This set makes Clefable not only a bulky pivot, but a decent special attacker after a couple of Calm Mind boosts. With maximum defense investment and a decent Special Defense stat even without investment, Clefable can find many chances to set up multiple Calm Minds and use Moonlight to shrug off any previous damage. A life orb can be used if Clefable is filling an offensive role, but leftovers give it more longevity. The only things that give this set trouble are fast Steel types that can KO Clefable with a strong Steel type move, specifically Bisharp and Scizor. 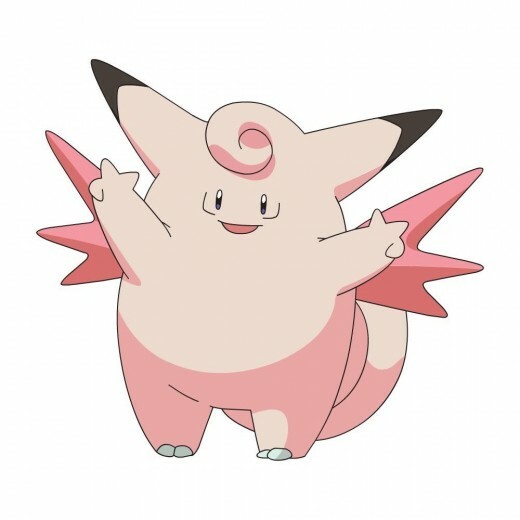 fire types such as Charizard Y and Rotom-H resist both attacking moves that Clefable uses, but after two or thee Calm Minds, Clefable has a chance to outstall them,althoguh tis isn't recommended. Preparing your team for strong Steel and Fire types easily solves this problem, and makes Clefable a very dangerous Pokémon against unprepared teams. Since Clefable is the number one threat on this list, I'll showcase an X and Y battle with Clefable. This battle shows not only how bulky it can be, but how strong it's Moonblast can be even when resisted, and how Dangerous it can be late in the game. You may have noticed a certain trend with four out of the five Pokémon on this list; They're very bulky pokémon that do best in support roles and can tank multiple hits thanks to many of the changes made in Pokémon X and Y. Crawdaunt and Clefable are the only two Pokémon on this list that perform exceptionally well in attacking roles. 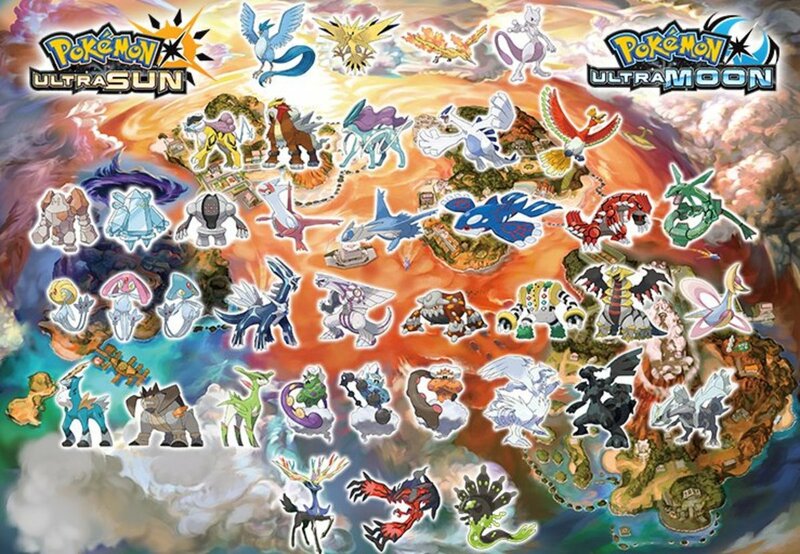 This should give you some insight as to how the X and Y metagame is shaping up,and which Pokémon are rising up from lower tiers and becoming threats in the OU metagame. There are many other Pokémon that have become great competitive Pokémon, but these five are some of the most threatening and still catch some Players off guard. 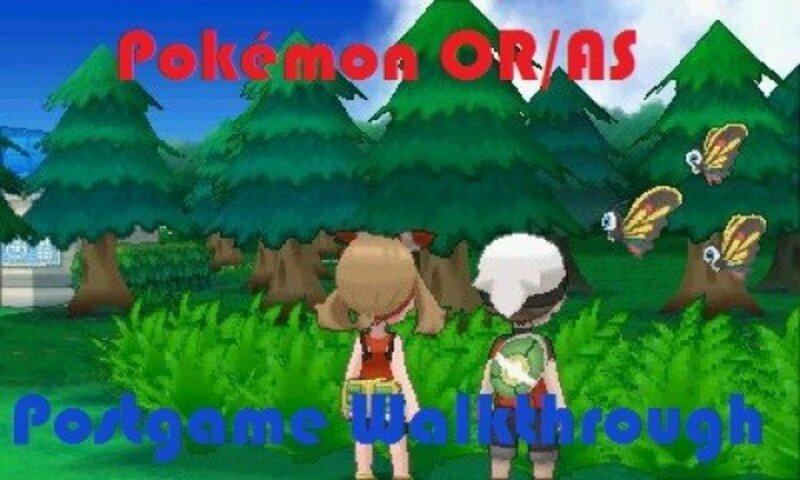 As always, if you have other suggestions for newly competitive Pokémon, leave them in the comments below! For Battles, Trades, and general Pokémon talk follow me on Twitter! I was wondering about running trick room on cofagrigus. Should I or not? Weezing, Clefable and Crawdaunt are okay! Thanks for sharing! Try to use mega slobro he can calm mind and sweep. Takeshi Shudo you was the best writer in the whole world. As you passed away we all Pokémon fans are missing you. I've also been a Wheezing fan for the last few years, he's definitely gained some strength with recent changes so I'll be definitely keeping him in my core line up. Personally, I think that Gyarados is better at tanking and sweeping than Crawdaunt.